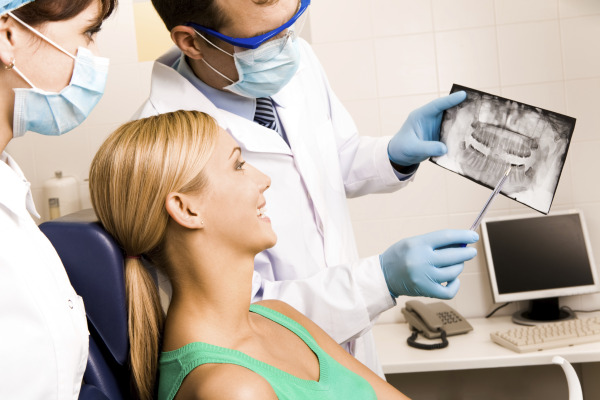 Periodontics is a dental specialty that involves caring for and maintaining the health of gum tissue. As the support system for your teeth, your gums are an important part of your smile. Many periodontists see patients who are dealing with complications related to gum disease; however, a gum specialist is able to treat a wide variety of conditions to help boost your oral health, such as cosmetic gum problems and even replacing lost teeth. At Auburn Family Dental, we are proud to support your health and wellness with periodontal care from our certified Auburn, MA periodontist – Dr. Jonelle Hopeck. The best way to prevent gum disease is to keep a thorough oral care routine at-home and to visit our dental office twice a year. However, if we notice signs of gum disease at your regular dental appointment, we have therapies to help manage symptoms and keep gums healthy. Deep cleanings help remove pockets of bacteria that form below the gum line. These pockets, when left untreated, cause gum recession and can weaken tooth roots over time. Dr. Hopeck helps you enjoy a clean and healthy smile by clearing out these troublesome pockets of infection and removing bacteria and debris. Even if you have more complex problems as a result of gum disease, our Auburn periodontist can perform soft tissue grafting and other surgical periodontal treatments to help restore your oral health. We can also correct gum recession issues with gum grafts. While a periodontist is skilled at treatment gum disease, they are able to correct cosmetic problems, such as “gummy” smiles via crown lengthening – a common oral surgery that allows your teeth and gums to look more balanced. As a gum specialist, Dr. Hopeck is qualified to place dental implants. The process for getting implants is another periodontal surgery, which helps patients permanently restore missing teeth via posts that are placed into tissue at the site of a lost tooth. At Auburn Family Dental, our periodontist goes beyond traditional gum treatments to help you get a smile that is beautiful and rests on a strong foundation of superior tissue health. If you are concerned about gum disease or have questions about cosmetic gum therapy and oral surgery from our skilled periodontal specialist, call our Auburn, MA dental office today for your consultation.